Mothering Sunday. Theme: The rich working of God’s compassion. Exodus 2:1-10 — An Egyptian princess’s compassion saves baby Moses. Moses, born into oppression, is rescued for God’s purpose to be fulfilled in Him. 2 Corinthians 1:3-7— God is the Father of compassion who comforts us. Paul, with rich experience of God’s comfort, shares this with the church in Corinth. John 19:25-27 — Jesus expresses His compassion for His mother. Near to death, He assigns a disciple to care for her. Moses, born into oppression, is rescued for God’s purpose to be fulfilled in Him. The Israelite descendants of Jacob who followed Joseph had become numerous and a new Pharoah who knew nothing of the good Joseph had done resolved to enslave them – and ordered all male Hebrew babies to be thrown into the Nile. 1-4 Now a man of the tribe of Levi married a Levite woman and she became pregnant and gave birth to a son. When she saw that he was a fine child, she hid him for three months. But when she could hide him no longer, she got a papyrus basket for him and coated it with tar and pitch. Then she placed the child in it and put it among the reeds along the bank of the Nile. His sister stood at a distance to see what would happen to him. “A man of the tribe of Levi” – named Amram and Jochebed, Exodus 6:20. “She hid him” – there is a strong parallel here with Israel in Egypt. Moses was born into oppression, saved by an “ark” from a watery death decreed by the pharaoh, rescued and grew to maturity in the pharaoh’s court. “Papyrus ark” – the same word as used for Noah’s massive barge. Papyrus was strong enough to be used for light craft and pitch was used for waterproofing all boats, Genesis 6:14, Isaiah 18:2. 5 Then Pharaoh’s daughter went down to the Nile to bathe, and her attendants were walking along the riverbank. She saw the basket among the reeds and sent her female slave to get it. 6 She opened it and saw the baby. He was crying, and she felt sorry for him. “This is one of the Hebrew babies,” she said. “Down to the Nile to bathe” – not just washing but morning devotions to a river regarded by the Egyptians as a goddess with life-giving, healing properties. To discover a crying baby floating in the embrace of the Nile goddess (in her perception) would be a significant sign. “To nurse the baby” – children were nursed for three years or more before being weaned, often by a ‘wet nurse’. .
8 “Yes, go,” she answered. So the girl went and got the baby’s mother. “I drew him out” – a wordplay on the name Moses, which sound like the Hebrew mashah, ‘to draw out’ and may be related to a common Egyptian word for ‘son’. QUESTION Given the wars and conflicts we see far away and close to home all the time, how would you explain what God is like, and why the world He created is not like Him? In John’s Gospel, this event takes place during the account of the crucifixion, after the soldiers had cast lots for Jesus’ clothes, but before Jesus’s last utterances. “Near the cross of Jesus” – soldiers would guard the execution and keep spectators at a distance, but women were a low risk for acting violently and were expected to express their mourning, perhaps near to a dying prisoner. “His mother’s sister” – the only reference in the NT to Jesus’ mother’s sister, who might have been the wife of Zebedee and the mother of James and John, see Matt. 27:56. 26-27 When Jesus saw his mother there, and the disciple whom he loved standing nearby, he said to her, “Woman, here is your son,” and to the disciple, “Here is your mother.” From that time on, this disciple took her into his home. “The disciple who He loved” – John is given the responsibility to provide for Mary (on the assumption above, his aunt), almost certainly widowed and without income and therefore dependent on the provision and protection of others. “This disciple took her into his home” – A Jewish family law could be used to assign the care of one person to another. There is another dimension to this as the embryo church community gathered – Jesus wanted them to love and care for each other, as He had taught with great clarity, John 13:34, John 15:12, 17. IN PRACTICE Every Christian believer dwells on what is was like for Jesus to give up His life, and not only give it up, but voluntarily take on Himself the punishment and torture and shame that is so graphically recorded. We can dwell on it, but we don’t get close – perhaps hold off from getting too close – to the reality of that experience. In all of this, which is beyond our human capacity to understand, there is this exchange which is even more incomprehensible. Jesus, dying in tortured agony where every breath adds to the pain, speaks out His concern for His mother, standing and sobbing in a family group nearer to the Cross than other observers. There is a saying that, what is in us, is what comes out when we are under extreme pressure. What came out of Jesus was His compassion, forgiving His tormentors and charging the disciple who had shown similar qualities with care of His mother. He loves us with that same love today. QUESTION Jesus wanted those who were close to Him to love each other – He had made that plain, and demonstrated it again as He was dying. What sort of priority should we make this in our church gatherings and interactions – and why? Paul, the much persecuted apostle sent to the Gentile nations, praises God for seeing him through many life-threatening difficulties, and uses this to encourage troubled believers in Corinth. 3-4 Praise be to the God and Father of our Lord Jesus Christ, the Father of compassion and the God of all comfort, who comforts us in all our troubles, so that we can comfort those in any trouble with the comfort we ourselves receive from God. “Praise be to God” – Paul extols God for the suffering and difficulties that his opponents use against him to call into question his apostleship. “Father of compassion”– a reflection on God’s limitless compassion, and never failing comfort. This letter frequently refers to God’s strengthening and refreshing of believers who face difficulty. • For further study, read Psalm 145:9; Lam. 3:22; Micah 7:19; Isaiah 40:1; 51:3, 12; 66:13. 5 For just as we share abundantly in the sufferings of Christ, so also our comfort abounds through Christ. “Share… in the sufferings of Christ” – cannot, of course, refer to Christ’s unique atonement for sin, Romans 5:8-10; Romans 6:10. Paul endured danger, opposition and adverse conditions for the sake of God’s people and the gospel, much as Jesus did. 6 If we are distressed, it is for your comfort and salvation; if we are comforted, it is for your comfort, which produces in you patient endurance of the same sufferings we suffer. “Distressed… for your comfort” – one’s own suffering is a qualification to come alongside others and empathise. Paul’s opponents sought to use Paul’s many hardships to discredit him as one out of favour with God. Paul maintains that his sufferings are a way God uses to connect with a strengthen other believers. IN PRACTICE Few would disagree that Paul was a courageous and good man, who came back after a very bad start to fulfil a vital and far-reaching mission and give us much of the NT teaching. However he alludes to the extreme difficulties he has faced, detailed later in this letter. His point is that, to set out to follow the Son of God who was love and compassion incarnate, is to set out on a rough road through bandit territory. But it is a great training ground, for understanding both the challenges faced by every believer, but also the comfort of God which flows to every believer. The fallacy we all fall for is that of not needing God in the good times, the lure of self-sufficiency, which is an attraction to our humanness. But Paul says, expect trouble – and also expect God to be right with you in the dark valley, our confidence against the fear that evil oppression stirs up. And self evidently Paul, who has taken more hits than anyone, is a survivor. God who has so often comforted Him, is the same God who is there to comfort us. QUESTION Paul starts by praising God for His goodness against a backdrop of hurt and hopelessness. How is he coaching us to respond to our pain and difficulty? PRAYER Father God, as we come to You as Your children, we are overwhelmed by Your care and comfort while the world is trying to overturn us with hurts and rejections. We call to mind the difficulties and challenges we are facing now – and we praise You that You are not only greater than all of them together, but that You turn the assaults of the world, the flesh and the devil into a training exercise and a fresh encounter with Your mercy. We receive Your love afresh, in and through Jesus. Amen. “Come, my children” – the earlier part of the psalm, praise for deliverance, now turns to wisdom, which often used the language of parents instructing children. 12-13 Whoever of you loves life and desires to see many good days, keep your tongue from evil and your lips from telling lies. 16 …but the face of the LORD is against those who do evil, to blot out their name from the earth. “Keep your tongue from evil” – the apostle Peter quotes vv. 12-16, 1 Peter 3:10-12, making a point about Christians living in a peace-loving way. “But the face of the Lord” – a sharp contrast between the Lord’s countenance towards those who trust Him and His expression to those who oppose Him in doing evil. “The Lord hears… delivers… is close” – assurance that the Lord looks out for those who, in the Hebrew expressions used, are broken to their own pride and stubbornness, Psalm 147:3. “Protects all his bones” – the link to the crucifixion in the Gospel reading is that this verse was taken as having been literally fulfilled by Jesus, John 19:36. 1 Samuel 1:4-20 – God’s answer to a desperate prayer impacts history. Hannah’s failure to conceive does not dampen her trust in God’s goodness. Daniel 12:1-3 – End-times resurrection: either everlasting life, or shame. The archangel Michael will arise to protect those whose name is written in book of the saved, in the final conflict. 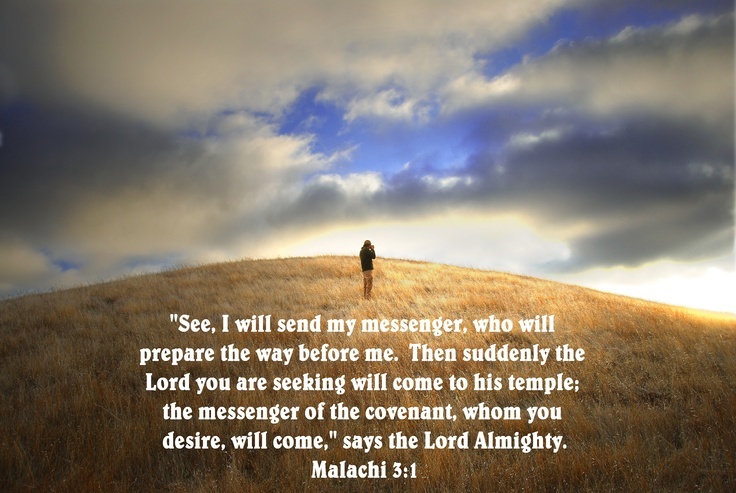 Mark 13:1-8 – Jesus foretells the destruction of the temple. The end-times conflicts will be characterised by wars, disasters and widespread spiritual deception. 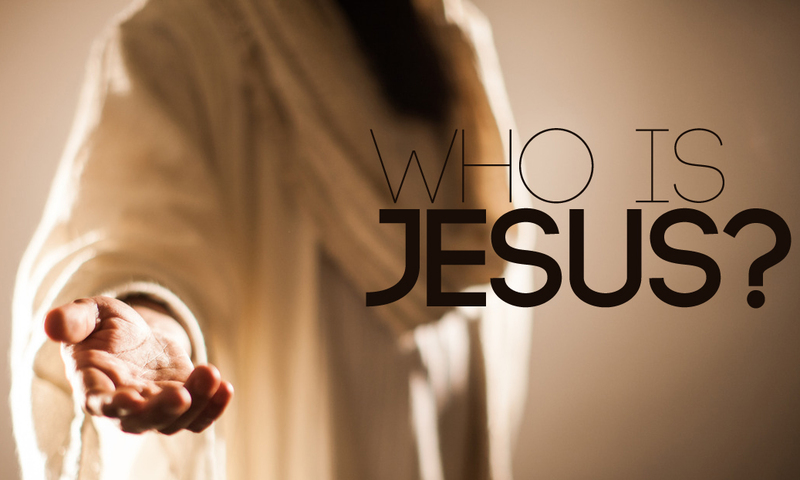 Hebrews 10:11-25 – Our confidence is in knowing who we are in Jesus. The Holy Spirit witnesses to us the New Covenant in Jesus blood and the finality of Jesus’ sacrifice for us. “But to Hannah” – the name means ‘grace’. The wider story is God’s miraculous intervention with a faithful woman, Hannah, raising up the last of the judges of Israel at a time of crisis for Israel, who will oversee the transition to a monarchy. “Peninnah… Hannah” – monogamy was the rule, two people becoming one flesh, Gen. 2:24. But there were social pressures through young men being killed in battle and the need to continue the family line – and produce more offspring to help with the work. “Shiloh” – the original settled location of the tabernacle where the land was divided among the tribes, Josh. 18:1-10; modern Khirbet Seilun, about 20 miles north of Jerusalem. It was destroyed, Psalm 78:60; Jer. 7:12-14 perhaps as a result of the mistakes of 1 Sam. 4 when the ark was taken from Shiloh to be with the army, who were then defeated and the ark captured by pagans. “Eli…on his chair by the…Lord’s house” – by this time a building with rooms, not just a tent. The chair (like a vicar’s stall in a C of E church) is the priest’s place and denotes his authority. Rabbis would sit to teach. Jesus is now seated at the right hand of the Father. “Deep anguish” – barrenness in OT times was considered a failure and a social embarrassment for her husband, on top of the natural disappointment. “Kept on praying” – Hannah had reason to be swamped by discouragement; unable to conceive, mocked by a woman who shared her husband and by the high priest who failed to understand her motives. But she kept praying, kept her focus on God and opened the way for Him to work. “Not… a wicked woman” – to drink in the tabernacle precincts would be considered a grave offence; for a priest, a death sentence, Lev. 10:9; Ezek. 44:21. 18 She said, “May your servant find favour in your eyes.” Then she went her way and ate something, and her face was no longer downcast. “Samuel” – the literal meaning is ‘name of God’ but it sounded like ‘heard by God’, a double meaning important to Hannah: God had heard her prayer. 1 “At that time Michael, the great prince who protects your people, will arise. There will be a time of distress such as has not happened from the beginning of nations until then. But at that time your people – everyone whose name is found written in the book – will be delivered. “At that time” – the events of the previous paragraph detailing the antichrist’s attempt to annihilate the Jewish people, Dan. 11:36-45. It will be a time of unprecedented distress but at the same time, tempered with hope for true believers, who have turned in faith to their Messiah Jesus, Zech. 12:10; Romans 11:25-27. “Michael” – the name of the archangel Michael who prevailed over a principality demon controlling the Persian empire, after a 21-day struggle. 2-3 Multitudes who sleep in the dust of the earth will awake: some to everlasting life, others to shame and everlasting contempt. Those who are wise will shine like the brightness of the heavens, and those who lead many to righteousness, like the stars for ever and ever. “Multitudes who sleep… will awake” – the first reference in the Bible to the physical resurrection of the righteous, and also with a different outcome, of the wicked. The bodily resurrection of both the saved and the lost was a not part of the common belief. For further study, read Job 19:25-26; Psalm 16:10; Isaiah 26:19; John 5:24-29. “Everlasting life” – the phrase is unique here in the OT. IN PRACTICE The story of Hannah speaks loudly of God’s goodness, to all of us who have been misunderstood, disappointed again and again and put down by others. Her self-esteem had been shredded, but not her faith. She knew God is good, even if it didn’t feel that way to her, and she kept on praying. We know that pride and self-sufficiency are a barrier to God working in our lives. And He will root that out, especially if he is about to do something big. His purpose is always to grow us and always has a bigger picture than the one we see. Hannah’s story reminds us that at times of apparent disaster, God is working for His salvation purposes. For God’s people taking God’s kingdom purpose forward, persecution goes with the territory! Paul reminded Timothy of this (2 Timothy 3:10-13 especially) and it is our encouragement to keep on keeping on, for heaven’s reward in heaven’s time. PRAYER Lord, open my eyes to the bigger picture that is not just my fight of faith, that I may see and declare that You are good and Your purposes for me are protective. “Massive stones” – think of foundation stones on the scale of a double-decker bus. The building project would not be complete for another 30 years. “Every one… thrown down’ – the temple was completely destroyed by the Romans in AD70 together with most of the city. The authorities, who sought to murder the Messiah, Mark 11:18, rather than welcome Him, Mark 11:9-11, 27-33, were rebellious tenants marked for destruction, Mark 12:9-10. “What will be the sign” — the disciples were expecting the temple destruction to herald the last times. Jesus is speaking of future events and future times but, confusingly for us, free of chronological order. Prophetic foretelling in Scripture often applies to more than one future time. 5-8 Jesus said to them: “Watch out that no one deceives you. Many will come in my name, claiming, ‘I am he,’ and will deceive many. When you hear of wars and rumours of wars, do not be alarmed. Such things must happen, but the end is still to come. Nation will rise against nation, and kingdom against kingdom. There will be earthquakes in various places, and famines. These are the beginning of birth pains. “Watch out… be on your guard” – Jesus’ commanding tone points to deception being a primary danger for the disciples, requiring them (and us) to be skilled in spiritual discernment together with Scriptural principles. IN PRACTICE Jesus had warned the disciples that there would be consequences for those who rejected their Messiah. The cause and effect relationship would result in the pulling down of the focus of national pride, the new temple and even its massive foundations. Their ‘sign of the end times’ came less than 40 years later with terrible bloodshed as Jerusalem and its revolt was destroyed by the Romans. Jesus’ words point to a greater conflict yet to come, while the end-times seem to us to go on and on. Perhaps the greatest danger is not just hatred and war, but its root causes in satanic deception. The kingdom message of knowing God’s love and loving Him and others is so straightforward we can miss it – but we are to watch for the ways it is twisted into an ugly caricature, and recognise which kingdom is dark, and which is light. QUESTION Do our attitudes and actions play out with effects now, or effects later, or in eternity – or not at all? 11-14 Day after day every priest stands and performs his religious duties; again and again he offers the same sacrifices, which can never take away sins. But when this Priest had offered for all time one sacrifice for sins, He sat down at the right hand of God, and since that time He waits for his enemies to be made His footstool. For by one sacrifice He has made perfect forever those who are being made holy. “Every priest stands… this Priest… sat down” – Christ is seated because His work is finished, whereas every levitical priest stood, for religious duties which were continually repeated. The author heavily underlines this contrast with the layered emphases “one sacrifice”, “for all time”, “He sat down…and…waits”, “He has made… those…being made holy”…”holy forever”. “I will put my laws in their hearts” – as Jeremiah had prophesied, Jer. 31:31-34, seeing a future era of the Holy Spirit leading and guiding believers which, post-Resurrection, should be our experience. These verses explain the apparent conundrum of “being made holy” or sanctified by the Holy Spirit’s influence on us, while being regarded positionally as “made perfect” by the finished work of Christ, v.14. We are seen according to our new nature in Christ, outcome assured, while as we are aware, we remain on earth a ‘work in progress’. “Sins…remember no more” – contrasts with “annual reminder of sins”, Heb. 10:3. The religious mindset (as in the Old Covenant) holds on to a false need to confess sins repeatedly. This new spiritual perspective of the New Covenant has the revelation that Christ forgives sins completely, Psalm 40:6-8. Sins we confess and renounce are both forgiven and forgotten. 19-25 Therefore, brothers and sisters, since we have confidence to enter the Most Holy Place by the blood of Jesus, by a new and living way opened for us through the curtain, that is, his body, and since we have a great priest over the house of God, let us draw near to God with a sincere heart and with the full assurance that faith brings, having our hearts sprinkled to cleanse us from a guilty conscience and having our bodies washed with pure water. Let us hold unswervingly to the hope we profess, for He who promised is faithful. And let us consider how we may spur one another on toward love and good deeds, not giving up meeting together, as some are in the habit of doing, but encouraging one another – and all the more as you see the Day approaching. “Therefore… let us…” – the incredible good news that we are positionally completely forgiven is not a licence for passivity, but rather, the reason to keep on meeting, encouraging one another, going deeper with God and further in faith-prompted love and good deeds. “Draw near… with…” – it works with certain conditions: sincerity of heart, unhesitating assurance, freedom from guilt, and the impartation of “hearts sprinkled… bodies washed” which points to the value of choosing to declare faith in baptism. IN PRACTICE A key word in this passage is ‘confidence’ and a key value in living above all that pulls us down as witnesses to the life of the Spirit of Jesus in us, is confidence in who we are, as viewed by heaven. We might not feel it polite in mixed company to speak vehemently of the blood of Jesus and how it has transformed us – but speak it out we must! The devil, one of the actors in all of these passages, has no manners at all and certainly doesn’t respect our gentility – but will run scared every time when we declare the power of Christ blood and the New Life we have in Him and Him alone. These passages all tell stories of conflict and difficulty, but also God’s eternal, good purpose and salvation plan coming through, which may not be seen in all the smoke and shouting. That presents us with a choice. Who do we agree with? The destroyer, or the Saviour? Our expression of faith in God’s purpose, our words of truth, are not just words, but the force that tips the balance. QUESTION What seems to be going badly for you right now? What is God’s good purpose in it, and how do you pray in line with that discernment? PRAYER Lord, no one knows the time of Your return and all we really understand about the end-times is that at the end of the book, the Lamb wins! Fill me afresh with the Holy Spirit who gives holy confidence and help me to maintain a praising spirit, as one who knows the final score as well as the cost of Your victory in pain and blood. Amen. Ruth 3:1-5; 4:13-17 — Ruth shows her need of a kinsman redeemer. Boaz marries the young Moabite widow and their son is an ancestor of King David. Jonah 3:1-5, 10 — Jonah obeys the Lord and preaches repentance to Nineveh. On overcoming his fears and misgivings and obeying the Lord, he sees Ninevites respond and God’s judgment averted. Mark 12:38-44 — Jesus condemns the falsehood of the scribes. The teachers of the law lived by show and exploited others, while the powerless widow is seen to honour God in her giving. Hebrews 9:24-28 — Christ enters the ‘real tabernacle’ of heaven to appear for us. His first appearance was to sacrifice Himself for the sins of many and He will come again to gather others. 1-2 One day Ruth’s mother-in-law Naomi said to her, “My daughter, I must find a home for you, where you will be well provided for. Now Boaz, with whose women you have worked, is a relative of ours. Tonight he will be winnowing barley on the threshing floor. “Find a home” – literally, resting place, or permanent home. As a close relative, Boaz might act as a kinsman-redeemer for Ruth and Naomi. 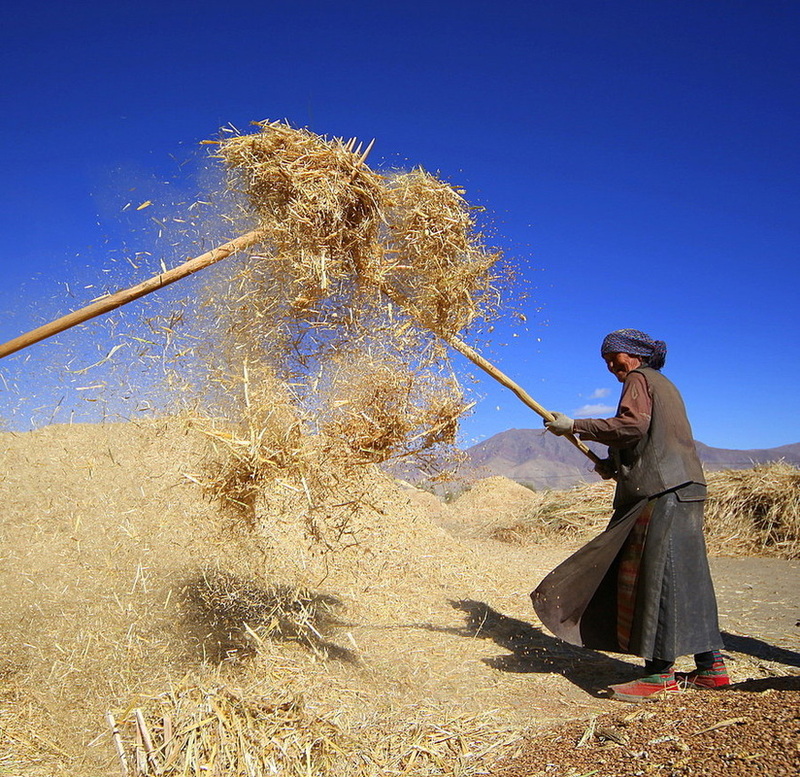 Winnowing…threshing floor” – separating the chaff from the grain. It was also customary for the landowner and men to sleep nearby and prevent theft of the grain. “Uncover his feet” – however it sounds, folding back his long tunic so that he wakes with cold feet, so she can speak privately with him, is not pushing the boundary of moral integrity. Ruth’s action, dressed as a bride, rather than a widow, amounts to a request for marriage. The story of Tamar, Genesis 38:13-30, is another example of appealing to the guardian-redeemer law. 5 “I will do whatever you say,” Ruth answered. “Whatever you say” – Ruth was a Moabite, unfamiliar with Jewish law and custom. “Gave birth to a son” – the story concludes with the ten generations from Perez, the son of Judah (Jacob’s son) to David, grandson of Obed. Ruth and Boaz were ancestors of Israel’s greatest king (and Joseph, husband of Mary, mother of Jesus). 16-17 Then Naomi took the child in her arms and cared for him. The women living there said, “Naomi has a son!” And they named him Obed. He was the father of Jesse, the father of David. “Obed… father of Jesse” – Ruth and Boaz were ancestors of Israel’s greatest king (and Joseph, husband of Mary, mother of Jesus). The conclusion balances the introduction, Ruth 1:1-5, Ruth 4:13-17. Both focus on Naomi, her former emptiness and reliance on the Lord, now reversed by His provision for her. Both passages are similar in being compressed and having the same number of words in Hebrew. “The message I give you” – a prophet is to proclaim a message from God, not necessarily a foretelling one. 3 Jonah obeyed the word of the Lord and went to Nineveh. Now Nineveh was a very large city; it took three days to go through it. “Jonah obeyed” – this time, unlike his first call to Nineveh, Jonah 1:3, and still reluctantly, Jonah 4:1-5. “Great city” – it was a sizeable place, about three miles across, not a journey of days, except that it took Jonah time to preach his message, street corner by street corner. 4-5 Jonah began by going a day’s journey into the city, proclaiming, “Forty more days and Nineveh will be overthrown.” The Ninevites believed God. A fast was proclaimed, and all of them, from the greatest to the least, put on sackcloth. “Nineveh… overthrown” – Jonah’s message did not include an “unless” clause even though he knew God wanted their repentance rather than their destruction, Jonah 3:10, 4:2. IN PRACTICE The Book of Ruth begins and ends with the Lord’s provision – He “had come to the aid of His people by providing food for them”, “the Lord enabled [Ruth] to conceive” and the Bethlehem women agreed with Naomi, “The Lord… has not left you without a guardian-redeemer”. 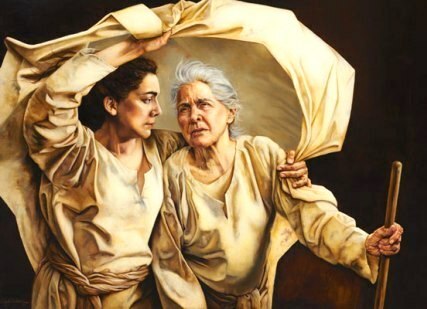 It was a big issue of trust for them; for Ruth, trusting God who she hardly knew, doing the right thing when it also seemed a wrong thing and for them both, being real about their situation and their need of God’s intervention in providing an unwed and land-owning relative keen to marry Ruth and continue the family line… which reached forward to King David. Jonah’s version of being real before God and trusting Him in a difficult call needed some time to mature, but eventually he found himself preaching to the streets of this notorious pagan capital of the Assyrian empire, for the people to turn from their wickedness to the living God – and they did. God blessed the two women in their plight and their need, and He blessed run-away Jonah back to obedience, who then saw an extraordinary revival unfold. QUESTION Worshipping as one of a congregation that is led from the front, we can all wear a mask but we need to get real with the Lord about how we are. What other ways of gathering help us to do this? “Teachers of the law” – also called ‘scribes’, were notorious for breaking the law they sought to impose by failing to love God and have His love for people. 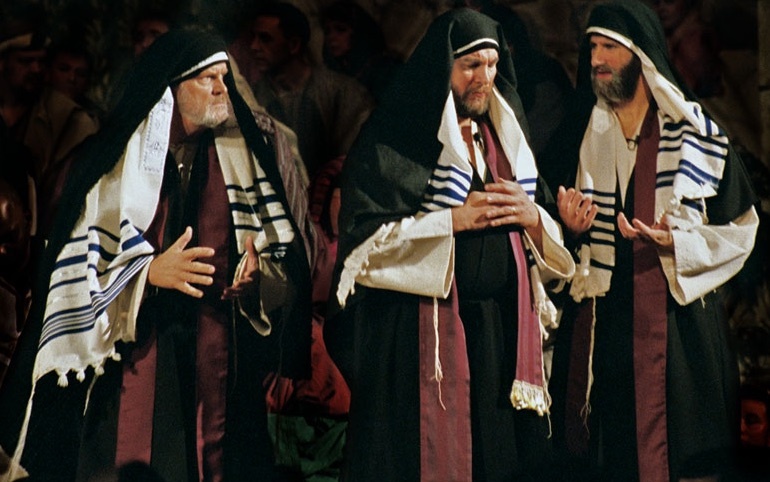 Jesus names six examples of their self-promoting desire for recognition: wearing long festive garments inappropriate for everyday wear; expecting people to rise and greet them; assuming the right to the prominent places in synagogues, and at banquets; making ‘grandstanding’ prayers; and preying on vulnerable widows. Devour widows’ houses’ – teachers of the law relied on the generosity of patrons, and widows were vulnerable to exploitation which eventually left them homeless. Defrauding someone else’s mother, Mark 7:11-13, was a denial of loving either God or people, with a lack of mercy that rendered their lengthy prayers empty. For further study – God’s concern for widows, Deut. 14:29; Ps. 68:5; Ps. 146:9; Isa. 1:17; Jer. 7:6; Jer. 49:11; and condemnation of those who abuse them, Isa. 1:23, Ezek. 22:7, Zech. 7:10; Mal. 3:5. 41-42 Jesus sat down opposite the place where the offerings were put and watched the crowd putting their money into the temple treasury. Many rich people threw in large amounts. But a poor widow came and put in two very small copper coins, worth only a few cents. “The temple treasury” – a number of trumpet-like receptacles to catch money, in the Court of Women, accessible to men and women. Women were barred from going in further. “Small…coins” – ‘two lepta, which is a quadrans’ – a Roman measure, because Mark wrote his gospel for the church in Rome. It was equivalent to a sixty-fourth of a basic day’s pay. “She… put in everything” – the widow did exactly what Jesus had told the influential young man and His disciples to do, Mark 10:21, Mark 8:34-37, Mark 10:28-29. IN PRACTICE There are times and situations where distinctive uniforms are helpful – we immediately think of peacekeeping and emergency services – and job titles are helpful for recognising people’s roles, from the Queen and Prime Minister to the customer service person. The point in this passage is about those who are in a position to represent God to others failing to demonstrate His mercy, but rather assuming an entitlement to position and distinction and the right to bully others – which Jesus denounces as warranting severe punishment. The lesson here is that God may hear quite short and simple prayers from regular people who have no pretension and nothing to prove, but give themselves to God in authenticity and reliance on Him. QUESTION Do you have a title or a position that you rather like? What will it cost you to let it go? “Sanctuary… a copy of the true one” – the regulations for ministry given under the old covenant were for a sanctuary on earth that represented God’s transcendent ‘otherness’ with the holy place that people other than the high priest could not enter. Now Christ enters into the very presence of God in heaven. “Blood not his own” – pointing out the difference between a priest sacrificing unwilling animals, and Jesus offering Himself. 26 Otherwise Christ would have had to suffer many times since the creation of the world. But He has appeared once for all at the culmination of the ages to do away with sin by the sacrifice of Himself. “Many times… once for all” – the animal sacrifice had to be made again and again on the Day of Atonement, Leviticus 16:29-34. Christ’s far superior sacrifice was final, for all time. “Since the creation of the world” – or since the fall of humanity in the Garden of Eden, Genesis 3, Hebrews 4:3 there has been the need for a complete and lasting, rather than provisional, remedy. 27-28 Just as people are destined to die once, and after that to face judgment, so Christ was sacrificed once to take away the sins of many; and He will appear a second time, not to bear sin, but to bring salvation to those who are waiting for Him. “He will appear a second time” – but not to deal with sin, because that has already been accomplished. “Those who are waiting for Him” – believers are to live in expectation of Christ’s return at any time, remaining faithful and ready however long the wait. IN PRACTICE The writer of Hebrews (possibly Apollos and almost certainly not Paul) addresses Jewish-background believers. This gives them a sharply-drawn comparison between the rituals of temple and synagogue (as it was then) and the worship in heaven with Father, Son and Holy Spirit and the adoration of the heavenly throng. One is an earthly imitation, of sorts, and the other is the real thing. Is what we do a pale imitation, or the real thing, albeit scaled down and humanised to make it accessible for us? We can go through the familiar routines – liturgy or not, every church tradition has them – or we can be intentional about inviting the presence of God, asking the Holy Spirit to presence Himself, giving Him permission to upset our carefully prepared order of service. To the extent that we do this (probably little steps at first) we notice the difference. We can’t always define it. But there’s a sense of God’s close presence. We know ‘the real thing’ when we experience it. And Christ has performed the perfect ritual, once and for all, so that we can be free to encounter the Lord and experience a little bit of heaven as we gather and submit to Him. QUESTION Honest answer, on a postcard… would you rather know the exact order of worship, or know that you have met with the Lord in a way special and personal to you? 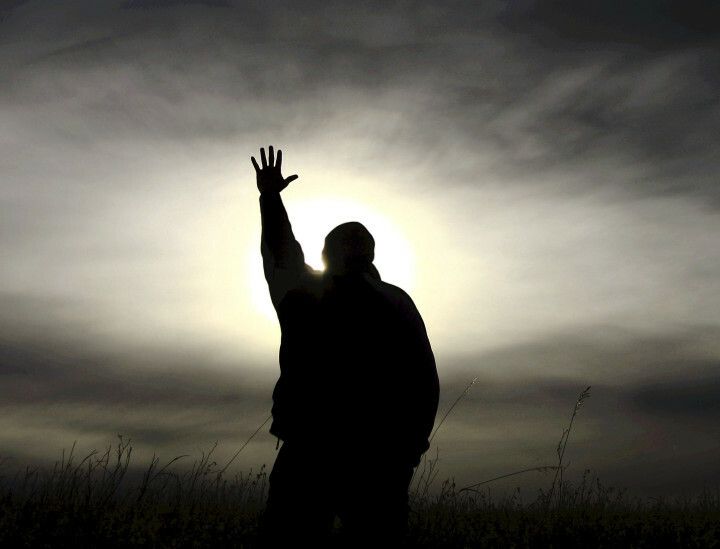 PRAYER Father God, I receive Your love afresh and thank You that You know me inside out. You know the ways I am an open book to You, and also where I cling to some life position for my identity. Help me to renounce all that is false, proud or self-sufficient — and offensive to You. I pray this in and through Jesus. Amen.